Local Press Coverage for The Realm of the Hungry Ghosts. Posted in: Books, Literature, novels, Publishing., The Realm of the Hungry Ghosts, Writing.. 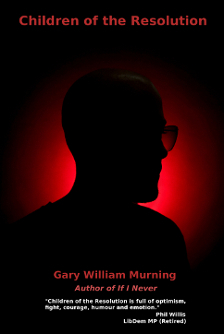 Tagged: Books, Gary, Gary William Murning, Literature, Murning, novels, The Realm of the Hungry Ghosts, William, writer, Writing.. 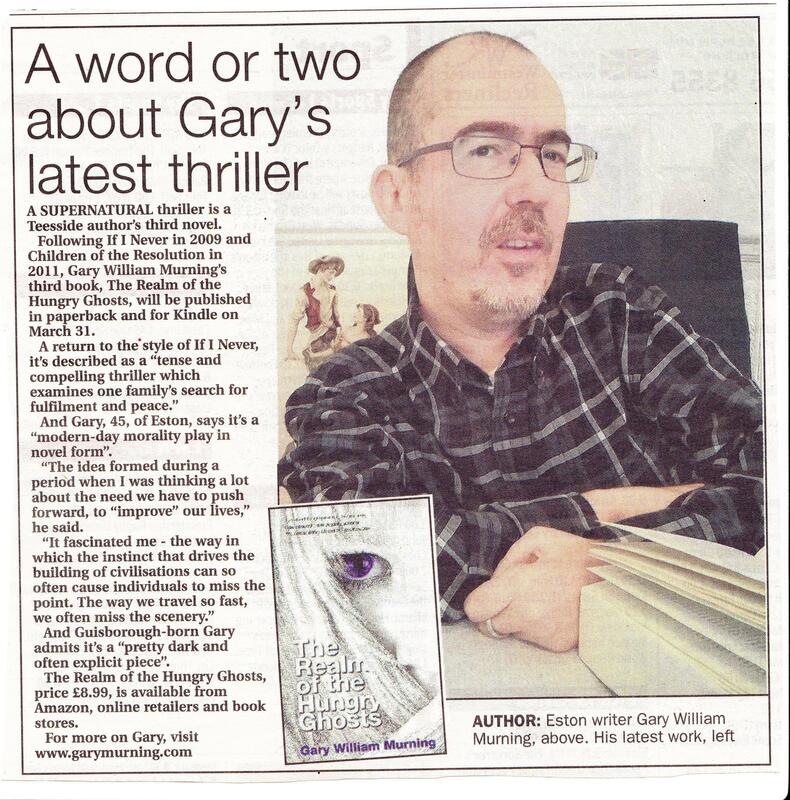 Yesterday I was featured in the Middlesbrough Evening Gazette. Today it is my pleasure to announce the formation of Ghost Whisperers Inc—a crack team of disparate and utterly ruthless (in the most charming of ways) readers with one shared common goal: the elevation of a certain author (namely me) to the status of International Authorial Superstar™. Said team will be unerring and unflinching in the execution of its duties. 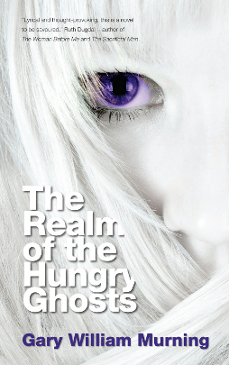 Committed to the cause, it will spread the word regarding the latest novel of the Aspiring International Authorial Superstar™, The Realm of the Hungry Ghosts, on Twitter accounts, Facebook timelines, Internet forums and, basically, via any other available (legal) means. Members will wear military face paint and camouflage gear—not because they will particularly need to, but rather because I think it might give me a good laugh. They will pledge allegiance by standing on one leg (preferably their own) and singing Coconut Airways, though this, of course, is optional (I’m not completely merciless, after all). Members of Ghost Whisperers Inc will be a privileged bunch. 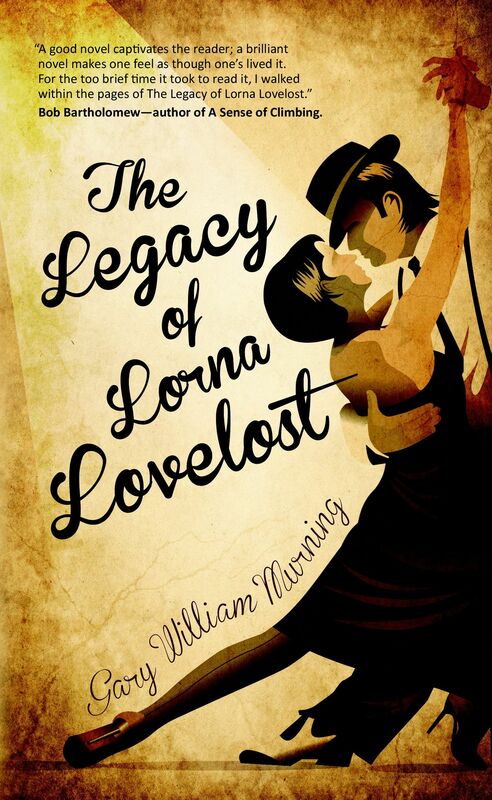 They will be among the first to receive advance promotional chapters from my next novel, The Legacy of Lorna Lovelost, they’ll see cover artwork before anyone else and… and they will be mentioned in the acknowledgements to Lorna Lovelost—in potentially embarrassing glowing terms, naturally. So what will a Ghost Whisper’s mission brief be, exactly? During the coming weeks, Ghost Whisperers will subtly spread the word regarding The Realm of the Hungry Ghosts. As mentioned, they will use their social networks to tell their friends about it, invite them to the online launch party, and generally twist arms if necessary. Some Special Ops types will be assigned missions to infiltrate online readers forums, craftily insinuating themselves, building trust, before introducing the matter at hand—namely how incredible The Realm of the Hungry Ghosts is. The GoodReads arm of the operation will be, perhaps, central to the whole operation in general. 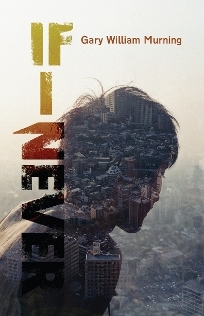 Any member who happens to be on GoodReads will start by popping along here and recommending the book to all of their GoodReads friends. They will also add the book to their bookshelves and, where they feel possible, join horror, thriller, suspense forums etc to further spread the word—as they see fit. This is, at heart, a flexible brief. One that will change as the mission develops. If you are interested in joining Ghost Whisperers Inc—even if you can only participate in a small part of the operation—please comment below or contact me through Facebook, Twitter etc. Now, in the words of Major John Reisman in The Dirty Dozen… Which one of you guys wants to be a general?